The 272 men of the 35th Indiana seemed to be spending most of the Battle of Stones River out of harms way. The fighting had been ongoing since 31st December, when a Confederate force had smashed into the Union army’s right flank, almost winning a stunning victory for the Rebels. 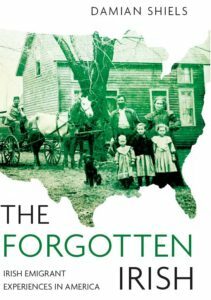 The Irishmen were positioned on the Army of the Cumberland’s left, and their only involvement on the 31st was to help stem the flow of fugitives from the Confederate onslaught and fight off some enemy cavalry. The 1st January also passed with little action, although there was some sharp skirmishing that night. The third day of battle found the 35th placed with their brigade on the east side of Stones River, where they were positioned on a strategic hill commanding McFadden’s Ford. As the day wore on it looked like they would once again escape heavy fighting. Then, around 4 p.m., with only 44 minutes of daylight remaining on the 2nd January 1863, the men of Major-General John C. Breckinridge’s Confederate division surged forward to the attack. Outgunned and outnumbered, the Indiana Irish were in for the fight of their lives. As the regiment’s skirmishers fell back they described an ‘immense force’ of Rebels advancing en echelon towards their position. Colonel Bernard Mullen, commander of the 35th, promptly ordered his men to lie down and fix bayonets. The 51st Ohio and 8th Kentucky regiments to the Hoosier’s right were engaged first, and it was not long before the Confederates were almost on top of the 35th’s position. The Irish calmly let them advance to within 30 or 40 paces of their line before they rose with a cheer and delivered a devastating volley into the right flank of the Rebels. The Confederate line seemed to stagger, and before it could recover Mullen and his men had reloaded and were firing again. The attackers fell in droves. Despite their initial shock, the Confederate’s responded, and the 35th began to suffer from artillery fire, particularly solid shot which ploughed through the left of their line. The two sides hammered away at each other from close range for some twenty minutes, but Mullen was aware that the sheer weight of enemy numbers would force him to retreat without support from the second line. He went to the 99th Ohio positioned behind the Irishmen to request their assistance and attempt a bayonet charge, but they would not come forward to the 35th’s support. Instead the 99th fell back to the main Federal positions on the west side of the river. The 35th fell back to the river some 400 yards to the rear, where Mullen rallied the men. Despite the initial Confederate success, the assault was an ill-advised one due to the nature of the terrain. 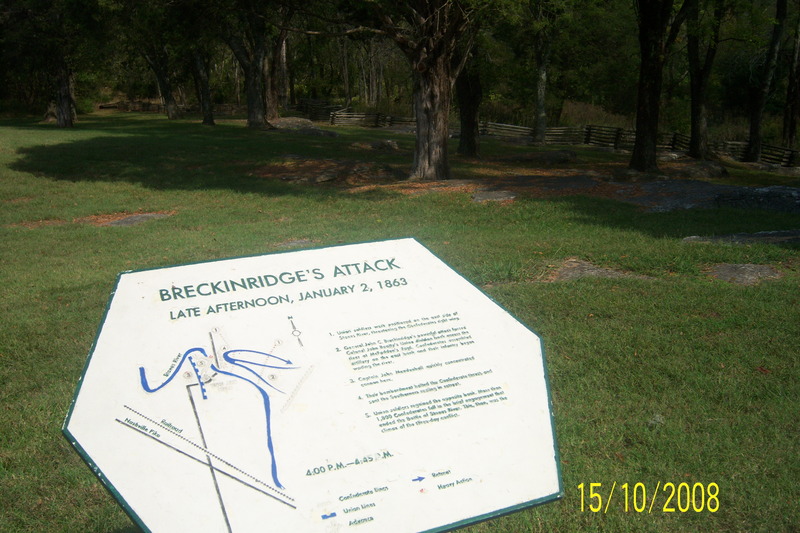 Breckenridge had been aware of this before the attack, but had been forced to proceed with it on the express orders of General Bragg. Having already sustained heavy casualties as a result of the resistance of the 35th and their comrades, they had taken the hill which was their objective. Now they not only faced fresh Union regiments, but no less than 45 artillery pieces arranged hub to hub by Captain John Mendenhall on the river’s west bank to fire into their exposed position (1). The maelstrom of shot and shell which ensued devastated the Confederate attack. The reformed remnants of the 35th contributed to this fire and together with their comrades surged forward with a cheer in pursuit of the retreating Rebels. Along with men of the 51st Ohio the Irishmen succeeded in capturing one of the Confederate batteries. The Army of Tennessee retreated from Stones River on the night of 3rd January, and the Union had won the field. The campaign for Middle Tennessee was not over, but an important step had been taken. Soon the Union would be able to look beyond Tennessee and towards Atlanta and the Deep South. There was to be much hard fighting ahead however, and the Irishmen of the 35th Indiana would be in the thick of it throughout.